Today I feature a delightful dessert, Pineapple Pudding by my friend, Preeti Baliga who readily agreed to send in this guest post. 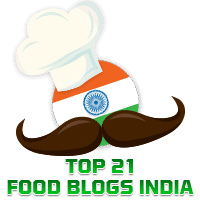 She has an interesting blog called Jo's Culinary Journey and you must check it out sometime for the variety of dishes she has there. 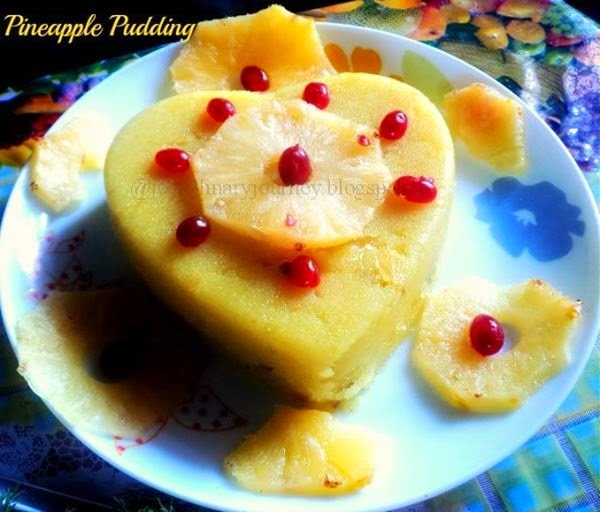 She writes, "Pineapple pudding is a popular wedding dessert in the southern part of India especially in my home town of Mangalore. It is one of my favorite desserts too. This is very easy to make especially during festivals or for parties...try it and I am sure it will impress your guests if served party style with fresh pineapple slices :)"
You can present it in any number of ways and if you really want your pudding to be on everyone's lips (spoken as well as eaten) you should display it in a way that draws the most attention. Thank you, Preeti for sharing your recipe here.